She's currently second, behind Dakota Johnson. If you want to vote for her, it's [HERE]. 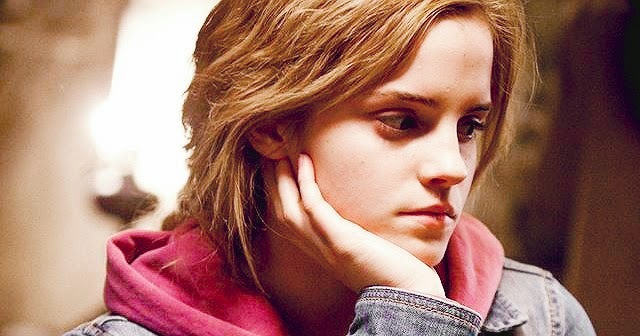 Emma, "second best role model after Hermione Granger"
As a teenager, Izzy played Hogwarts pupil Leanne in the final three Harry Potter Films, Harry Potter and ther Half-Blood Prince and both parts of the Deathly Hallows. Leanne and her friend Katie get caught up in Voldemort’s plots when Katie innocently agrees to deliver a parcel she is given in the village Hogsmeade to the school and ends up being cursed, left floating in the air. 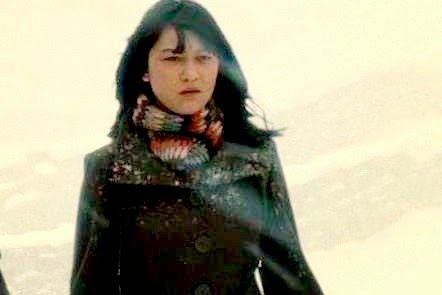 Later, Leanne joins Dumbledore’s Army and is seen fighting the Dementors. Izzy said: “It was absolutely extraordinary time that I will never ever forget. “Going into the Great Hall and doing a read-through was insane. That was memorable. “I kept one of the call sheets for a scene that was just Alan Rickman, Maggie Smith and me. It was just bizarre! “I was more kind of in awe of meeting the main three actors, Daniel Radcliffe, Rupert Grint and Emma Watson. I had been growing up with them since I was little, seeing them in the films. Izzy says she is still friends with Daniel and Rupert and is impressed by the way they have made the transition to other other acting roles. Growing up within the Harry Potter world for several years must be difficult to escape from. The struggle to steer away and detach yourself from such a memorable and iconic role is surely more difficult than we might imagine. However, Emma Watson unquestionably proved that just because people grew up knowing her as the curly-haired know-it-all, she can still be an absolutely different character. Emma and Daniel Radcliffe among HS's "2015's Most Over-Rated Actors"
Plucked from total obscurity as children to become the popular faces of the record-smashing Harry Potter film phenomenon, Radcliffe and Watson grew into their roles with impressive aplomb. Typecasting was always going to be a danger, but each could not have given themselves a better chance of making it. Neither young actor has set the world on fire since graduating from Hogwarts. Radcliffe has had one minor hit with the Gothic horror of The Woman in Black, but otherwise he's been ineffectual in roles beyond his range (playing beat poet Allen Ginsburg in Kill Your Darlings). 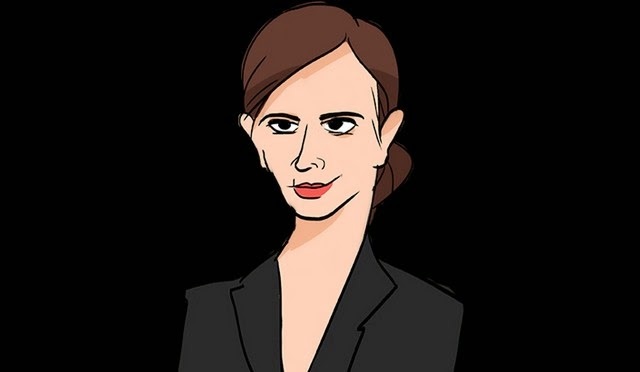 Watson has looked quite lost in high-profile (Noah) and low-profile (The Bling Ring) outings alike. Radcliffe has bravely stretched his talent with several lengthy turns on the stage in recent years, so his best could still be ahead of him. His next test is a key role in a major Frankenstein reboot releasing in October. Watson is still very much a darling of the gossip pages, but might be better off in the cosier confines of television in the right part.